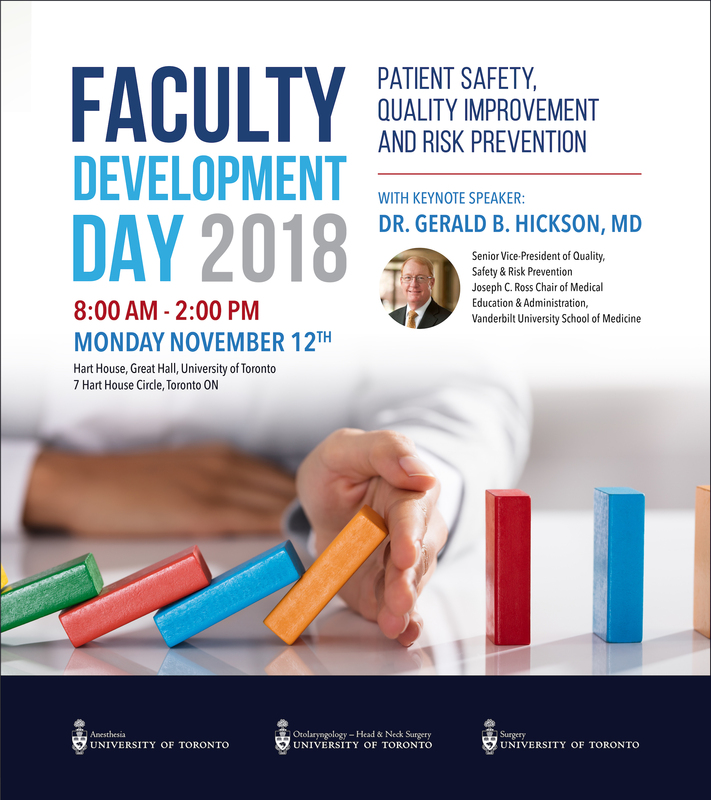 The Departments of Anesthesia, Otolaryngology – Head and Neck Surgery and Surgery at the University of Toronto will convene a joint Faculty Development Day event. We invite our faculty to register online for this event. Please see the program attached. The registration deadline is Monday, November 5, 2018. Once you have registered, your registration status will be confirmed via the email address indicated on the registration form. Please contact the CPD office at FacMed.Registration@utoronto.ca if you do not receive an email confirming your attendance within 48 hours of submitting your online registration form. Registrations are accepted on a first-come, first-served basis. Please register early – registration is free. However, due to space limitations and increasing demand for this event, we may not be able to accommodate on-site or late registrations. Please call or email the Department of Surgery office at (416) 978-2624 or nancy.somer@utoronto.ca if you have any questions. We look forward to welcoming you to this event.